Relax and take time to choose your bridal gown. Book your one to one appointment. In many styles, sizes and gorgeous colours. Dresses, jacket and matching accessories. We cant wait to show you our studio!! it gets even better we have so many new gowns too!! At Frilly Frocks Bridal Boutique here in Barnstaple, North Devon, we strive to offer you not only perfect wedding dresses but also the ultimate bridal experience, with our ‘appointment only’ service for all our lovely brides, mother of the bride and bridesmaids. 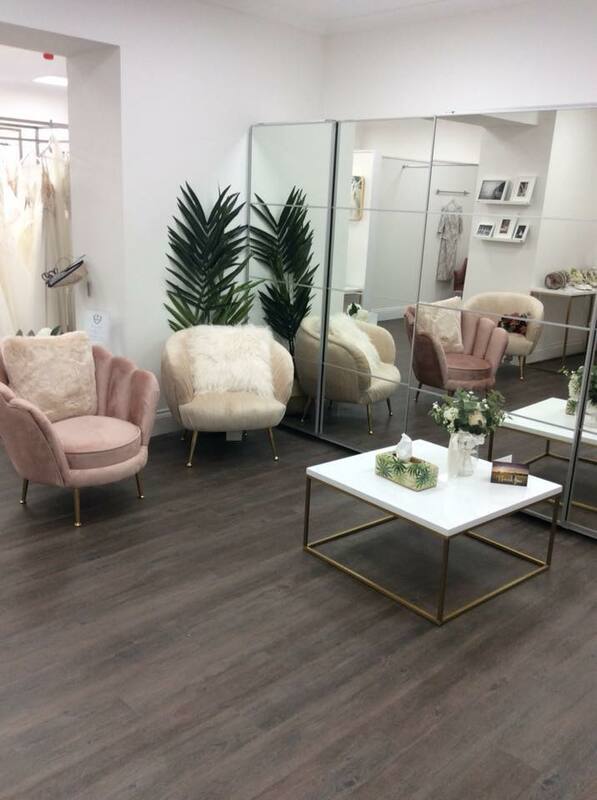 Book an appointment in our gorgeous bridal boutique, and discover fabulous wedding dresses from award winning designers, available in sizes 6 to 22. At your bridal appointment you can be sure of a private, one to one, service - we’re on hand to offer as much or as little help you require. Your wedding day would not be complete without your bridesmaids and flowergirls and of course a special outfit for mum. Our Bridal shop stocks a fantastic collection of stunning bridesmaids dresses and mother of the bride outfits too. Whether you are a Bride or Mother of the Bride book your individual bridal shopping experience and enjoy the best of bridal indulgence! Frilly Frocks bridal boutique, based in Barnstaple North Devon, as featured on BBC3’s Don’t Tell The Bride, is the longest established bridal boutique in North Devon.